With 10 years of fundraising experience, Leanne is a seasoned professional who brings a wealth of practical knowledge to the DaVinci team. She has worked with a diverse group of nonprofits, ranging from public broadcasting and healthcare organizations to animal welfare and higher education. With a Master’s Degree in Marketing Analytics, Leanne brings comprehensive and insightful results reporting and strategic analysis to her clients, helping them to identify trends in their donor files and maximize the opportunities discovered from “deep dive” analytics. 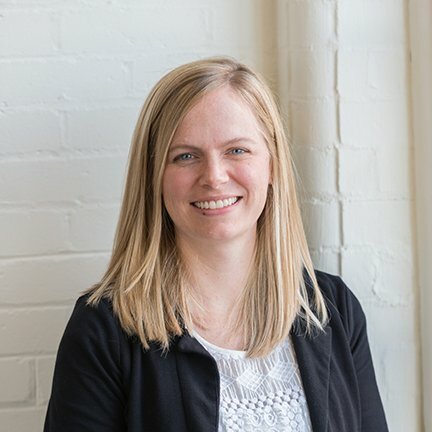 As a Senior Account Executive, Leanne is responsible for program strategy and analysis, as well as the day-to-day management and execution of integrated fundraising programs for her clients. She is known as a highly organized problem-solver, with extensive experience in direct mail production, strategic planning, budgeting and forecasting. Leanne also brings an important “client-side perspective” to her work, having previously served as the Director of Annual Giving at the University of Massachusetts, Dartmouth. In this role, she directed all aspects of UMass Dartmouth’s Annual Giving program, including all fundraising initiatives for alumni, students, parents, and friends through direct mail, email, telemarketing, web, and mobile. Leanne also established UMass Dartmouth’s first crowdfunding giving program for students, faculty, and staff. Leanne’s combination of agency and client-side experience gives her a clear understanding of the challenges and opportunities that you face as a fundraising professional today. She’s a true team player who will work with you to create, manage — and improve — all aspects of your integrated fundraising program.